Did you know that you can easily customize our vinyl fence? Sometimes a “one size fits all” approach just doesn’t work for your fence. When you buy pre-assembled panels off the shelf of the box stores, the install is very unforgiving because if you need to make any adjustments, you have to cut the entire panel, which can be very difficult when dealing with large panels. Our easy-to-assemble panels allow for much easier sizing adjustments. And sometimes you want to change the style and design of your fence. There are many things you can do to customize our vinyl fence. This is also helped by our 4-way grooved posts which enable the placement of horizontal rails virtually anywhere along the vertical fence post. Our 6ft high privacy fence is a perfect height for most people, but sometimes people have special requirements where they need a shorter vinyl privacy fence. The customer below wanted some privacy at the front of his house but city code dictated that he could be no higher than 4ft tall. The customer below took our Curious George Vinyl Privacy Fence and took 2ft off to make a 4ft high vinyl fence. 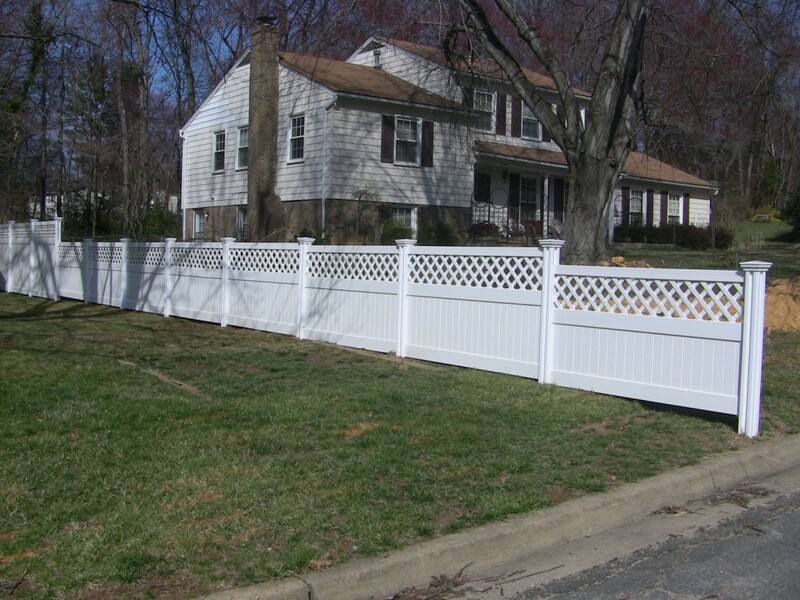 Some customers prefer a more decorative vinyl picket fence, and it’s easy to cut the pickets in either a swoop or a concave design. 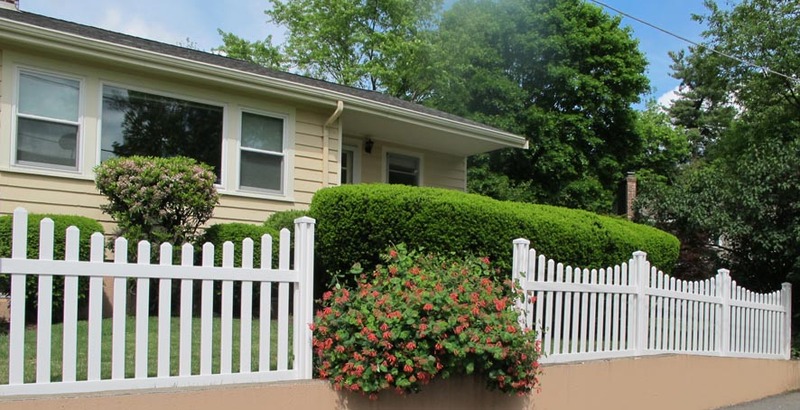 The customer below cut his vinyl picket fence into a swoop to make it look more decorative in front of his house. Dubi cut his pickets into a swoop style and also hugged his bottom rail to the ground for a bit of a different look. A ranch rail fence offers a lot of versatility and is a very affordable fencing solution, but sometimes it just doesn’t offer enough restriction to contain a pet. It’s really easy to add another rail or two to get the same effect of the fence, while having a little added security so Fido can’t squeeze underneath. Below shows a picture where a customer customized the 3-rail Even Steven vinyl fence to include 4 and 5 rails where he felt necessary. 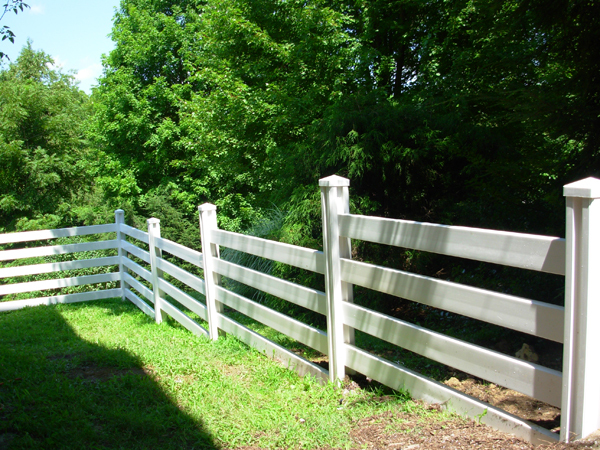 John added a couple more rails to make his ranch rail fence safer for his smaller dog. Vinyl is a very easy material to work with so you can cut it with minimal ease using a standard fine tooth circular saw blade. You can read more about customizing in our knowledge base or visit our website. Clever Joe is ready for spring, and so are we! With only one week until the official launch date of spring, it seems like the weather around the country has been unseasonably cold. I know that I’m spoiled living in sunny North Carolina, but it has been unseasonably cool here as well too. (I realize it’s all relative- my Northern friends have no sympathy as our temperatures are still well above freezing during the day). I think everyone gets so anxious for spring because it signals so many things- sunshine, grilling, flip flops, blue skies and the ability to go outside and breathe in the fresh air without a cold shock to the lungs. There are a few things I could do without– such as losing an hour of sleep with the time change– but I certainly wouldn’t be caught dead complaining about the brighter evenings. A lot of people have plans and projects for their yards in spring, and somehow working on outdoor yard projects can seem like more a pleasure in the spring. It’s like you can come out of hibernation. Gardening is probably one of the most popular spring pass times, and we, of course, talk to a lot of people who are considering a vinyl or aluminum fence for their yards. Leo Tolstoy said “Spring is the time of plans and projects” and we couldn’t agree more. Maybe it’s not quite warm enough to go outside and grill just yet, but you can definitely plan in advance for these lazy Sundays by laying out your landscaping and fencing plans. 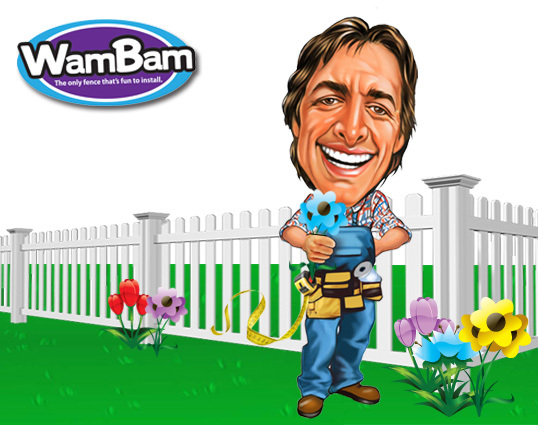 Remember, we’re always happy to provide hassle-free, no obligation advice and consultation on your vinyl or aluminum fence project. Save money with our easy to install PVC fencing and aluminum fencing! We sell vinyl and ornamental aluminum fence all over the country, and ship to homeowners in every state. We love the way that technology enables us to connect with our customers despite geographical boundaries. 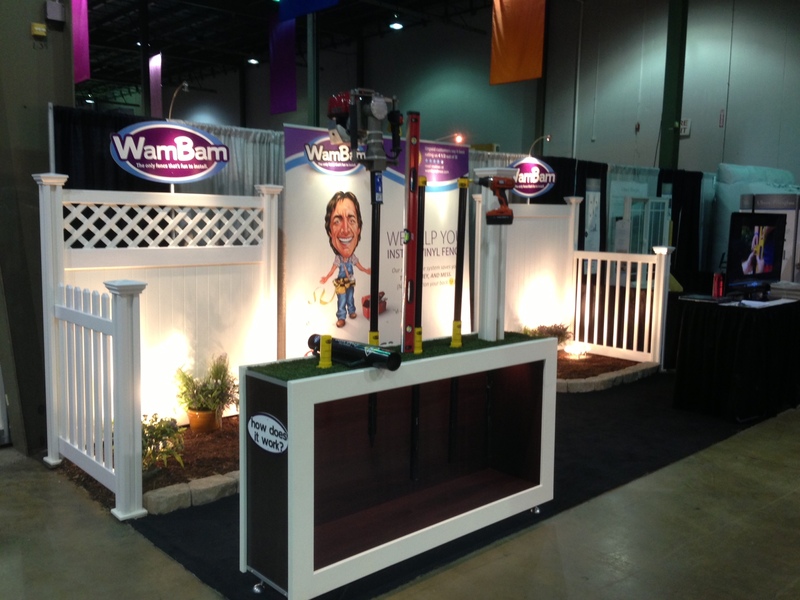 Since we are physically located in the Charlotte NC area, we figured it would be fun to attend the Charlotte Spring and Garden Show to make some new local friends and offer an easy-to-install vinyl fence solution. We really enjoyed meeting our local neighbors and were pleased at the response to our program. People love the idea of being able to save thousands of dollars installing their own vinyl and aluminum fence, and especially like the thought of having us on speed dial in case they run into any snags. We also showcased our new gas powered pounders for rent, and it was fun to see how excited people were about this handy time and work saving device. Read more about the gas powered pounder on our website! If you’re within 50 miles of the Charlotte area, call us at 704-892-5222 to see how we can help you save up to thousands of dollars installing your own fence.